Earlier this year, I told you folks my thoughts about voice acting in future Zelda titles. I want it to happen, and I feel it is truly the next step in the franchise. 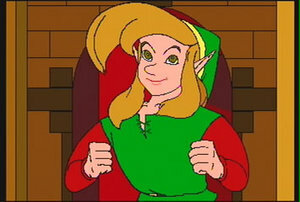 One aspect I did avoid, however, like the plague, was voice acting for Link. Cody, webmaster at Zelda Universe, recently made a strong case for Link to have voice acting. I must say, I mirror his thoughts to a T. I feel most the excuses given, such as the overly used CD-i and Zelda cartoon excuse, are heavily overplayed and are really not relevant to the matter. In any case, what do you think? Should Link have voice acting?